Finally they called a better day which was still totally blue but with a bit more decent thermals on the way. Beginning was traditionally slow with bad thermals but as we moved on it was getting better and better. I was in a good position on the half of the race where Primoz went on alone and got in to the best air quite faster then gaggle behind him. We enjoyed the views of high mountains, no grass, no trees like we Alp pilots are used to, but magical in its own way. 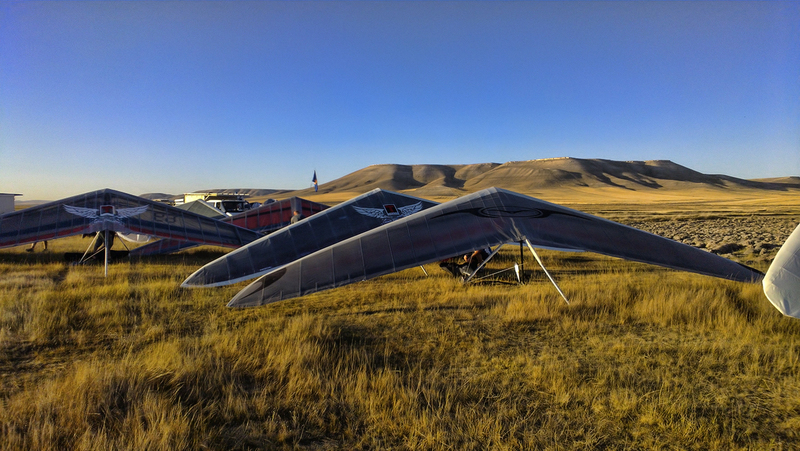 The most hard part was in the end as there was a 20 km dead glide from 3400m to the last turnpoint where we got low and found a wick lift. Here I got together with our team mates, Joze Frim and Franc Peternel where we where putting this hard puzzle together like a team. The day was ending, you could see and feel that when Peternel suddenly got a kick in front of us in the middle of the valley which was already in shade. Here we tanked up the 300 m needed for a final glide of 15 km. I was 20m bellow Frim and Peternel when I headed out by myself as thermals was dying. Nerve wrecking glide in the lee of small hills but I made it to the goal as 8th for the day. 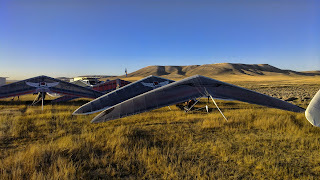 Finally a proper flying conditions and in the end also a place for the day. I feel a bit better now after all of this bad flying in the past days. Franc and Joze made it in as well, so did Primoz well ahead of us in first place. Really good job from our team in this competition. Like we would have arranged who will be resting for the day as every day someone makes it in and good. Stanko had a bit of stomach problems yesterday but he and Alan still did it to the last turnpoint. Today is the last day. Fingers crossed!